O Naturals ECOCERT Certified Organic Anti-Aging Moisturizing Day Cream was formulated to provide protection throughout the day and will nurture and moisturize your skin. 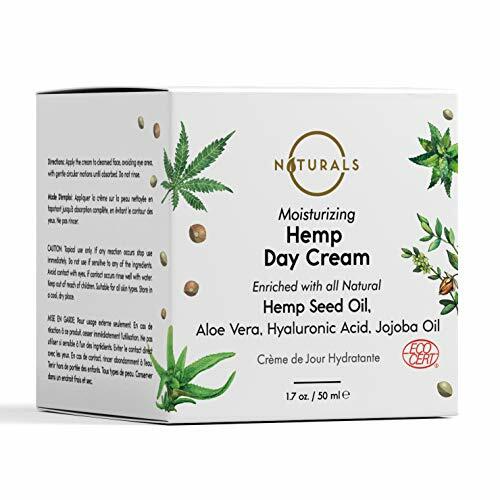 The moisturizing day cream is enriched with, Aloe Vera and Hemp Seed Oil, providing a perfect ratio of Omega-3 to Omega-6 fatty acids, providing natural anti-aging properties and restoring moisture to dry skin. Our day cream is lightly enriched with Shea Butter, offering a concentration of natural vitamins and fatty acids, maintaining the perfect amount of moisture throughout the day. Vitamin E is a natural antioxidant providing moisture, acting as an anti-aging agent by blocking free radicals, and having an anti inflammatory effect. Sacha Inchi Oil is the richest oil found in Omega-3. Exceptionally high in fatty acid content, this rich oil is perfect for regenerating and healing skin. With its anti aging properties, this oil is skin’s best friend when it comes to combating fine lines and wrinkles. Olive Oil, plant-derived Squalane and Jojoba Oil are guaranteed to add elasticity, all while protecting and pampering skin. The pure Hyaluronic Acid forms a protective barrier at the surface of the skin, offering optimal hydration and protection against free radicals. Give your face the hydration it deserves.